This looks great Kare! I'm really looking forward to your recreation of Almadel's death. Goodness, echoing ^ that sentiment. It's gorgeous. Next one will be momo or sakura, I will see. When I will find some timme on weekend the I will do some more. I need connect July anyway for MY remake and then Ziggy (I think I have him fully fixed). I planed to make something cute withZiggy family for a while . Rubedo is boned so I just set him up for picture. Since I have done Shion it would be nice to render something with Almadel model to see how she will look with some animation. I fixed one time chaos on ep2 style, but I think I will try to level up his textures to look better before trying anything. I have problem with Sakura animation 3, I could have start seting animation soon, since I have all main characters put on their places, but that idea to put rest party into scene is killing me. As I checked level up ep2 Shion will be nightmare, I don't have even her textures ripped. I'm afraid of thinking of Kossy, it would be total remodeling her body in anathomy too. Aside from that last left to fix is Jin, he wont be sa bad as those two girls. So that keeps me: Doing it with what I have or wait and fix rest of characters? I wanted to make city from MY with finished Jin and 100-series to my expriments for University rendering work, but I see I won't be able to make it in time (in this week it would be good if I send professor finished book with all things writed down). So I think I will leave it for later. I really like the CG of Shion's missing year costume. She honestly looks like the Shion I grew to love in XS1, just with different clothes. I always felt the XS2 and XS3 designs looked like a whole different person, not just a costume change. 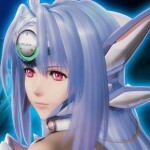 It would be cool since you did the Missing Year Shion, to do the Missing Year KOS-MOS as well, so we could see how she would look in CG. But I imagine that would be such a nightmare. Very nice, I especially like your Shion! Yeah kossy is on my list, there will be a lot work to do with her, but I need to do her. She's next in line after I done with some textures left to do for M.Y. Jin and 100-series. Well, I should post some new wallpaper but I wanted to make more boys as said... But for last 3 days I was fighting with Shion in ep2 style for Sakura Animation part 3. I almost done her, what's left are shoes, correct of some textures (for example jacket so it reflect things not so hard as on wip). I don't think I will update trousers, too much drawing and modeling for one scene XD. Your model looks beautiful and it keeps Shion's character consistent between the XS1 and XS3 looks. The jacket looks really cool. The pants on Shion's XS2 design always seemed ill-fitting to me. The low waist and capri pants in combination just makes it look like her pants shrunk. Maybe it's better that you don't worry too much about them. @kare_reiko wrote: Next one will be momo or sakura, I will see. When I will find some timme on weekend the I will do some more. I need connect July anyway for MY remake and then Ziggy (I think I have him fully fixed). I planed to make something cute withZiggy family for a while ;). Thanks stitch, I wasn't apply this art you linked to prints there because, well, I was in diffrent situation situation back there (I was thinking I will be able to find normal job in my country after finishing so many schools but... oh well). Anyway I turn on print options for that pic, it was better quality one so I was able to choose more print options for it. Anyway for today it's Sakura wallpaper. I have very nice idea for picture with ep2 Shion, full picture, not only wallpaper (for wallpaper I have other idea). For it I will need to make Uzuki's house... So much texturing, well it would be useful for Drama Cd animation anyway so it will be worth to do in near future. I had this image in my head for so long time, I was finly able to do it... I'm still thinking how to fix beach problem. I don't think simulator of particles will work (or it will take me forever to figure it out). So I think I will go with normal mapping if I don't jump on other idea. What made me happy some time ago that I remind myself that Kossy model in Sakura's home scene wasn't one with ep2 design but with ep1. In one word I don't need to do ep2 model Kossy, hurray XDDD. I started working on ep1 kossy. I will spend some time on her since that model will be used for Drama cd and Freaks animations, so it needs to look the best as possible. OMG, I love it! The lighting and expressions are so gorgeous! I had a problems with setting up this character, first pose I was done for him yesterday didn't look too good for me too. Oh wow, he looks so awesome! :DD Good luck with your schoolwork, too. 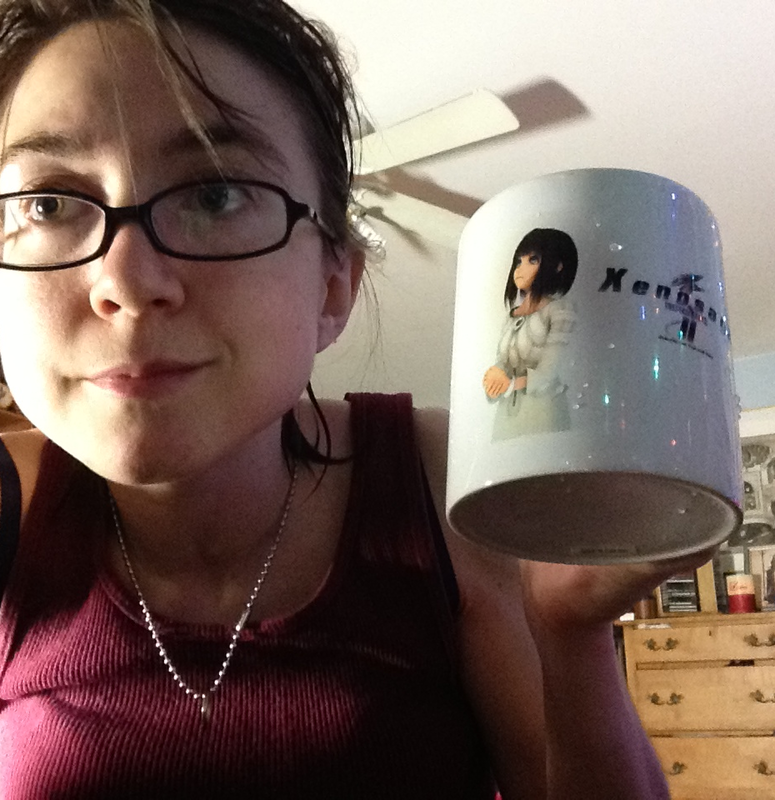 Wow, that mug look really nice To bad that DA didn't scale it so high of picture end where cup edge end (I thought it will be like that) but it still look pretty good. I love how she looks. Ep2 designs were so nice, how they menage to do with them what we see in game XD? I was trying to play a little ep3 yesterday to help my stressed mind, I was playing and playing it for few minutes and I realize that beginning with only Shion is almost the same long, or longer like it was in ep1. I saw that I won't get to play with whole party this soon as I wished, so I set up Shion model instead XDD. Today or tomorrow I will work on chaos from ep2, most things are set up but gloves don't have right texture and I wonder what to do with them XD. Next and last model for Sakura animation will be KOSSY, I fixed most of her, but I had problems with her legs, they didn't have quality I'm looking for so it will need more work. If you are interested then I have ripped textures for flawless. So without v-ray they will be black, still texture ID's are set so if someone need them then what to do is only relink textures to standard mode. I'm fighting with 3rd part of sakura project. For now I set most of camera shots to see how whole animation will look. I'm planing to remake whole scene outside of Sakura house, with whole "
that take place in DS ver. For what I have set up it's around 4 minutes, around 7000 frames. It's about 3000 frames more then I set up for Neph and chaos talk. I hope I will no mess up body movement like I done with Sakura and Jr part. For now I'm at almost end of setting up first camera shot, it will be around 11 seconds or more, well it's 700 frames. I'm going to finish cover picture for my manga "
so I can upload it on mangamagazine.net and back to set up. I want to to set up most of it first, so only rendering left and meanwhile I will back to make wallpapers on older computer (I hope it won't blow up XD). I done with chaos ep2 model and Kossy ep1 model so they are next in line for wallpapering. update: Thanks Kat for notice! Now it works in right way. Hmm, those Mediafire links don't seem to be working, Kare... I'd love to see, tho. He turned out gorgeous, Kare. :3 Hope things get better soon.